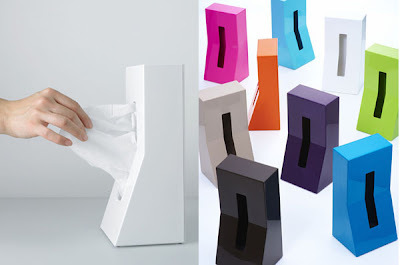 Standing tissue box from duende. My first thought was GREAT. My second - it is not going to work. When you lift an half-empty box, all the tissues slide to the bottom and bunch up.